Can’t wait for St. Patrick’s Day to see what the craic is, Columbus? 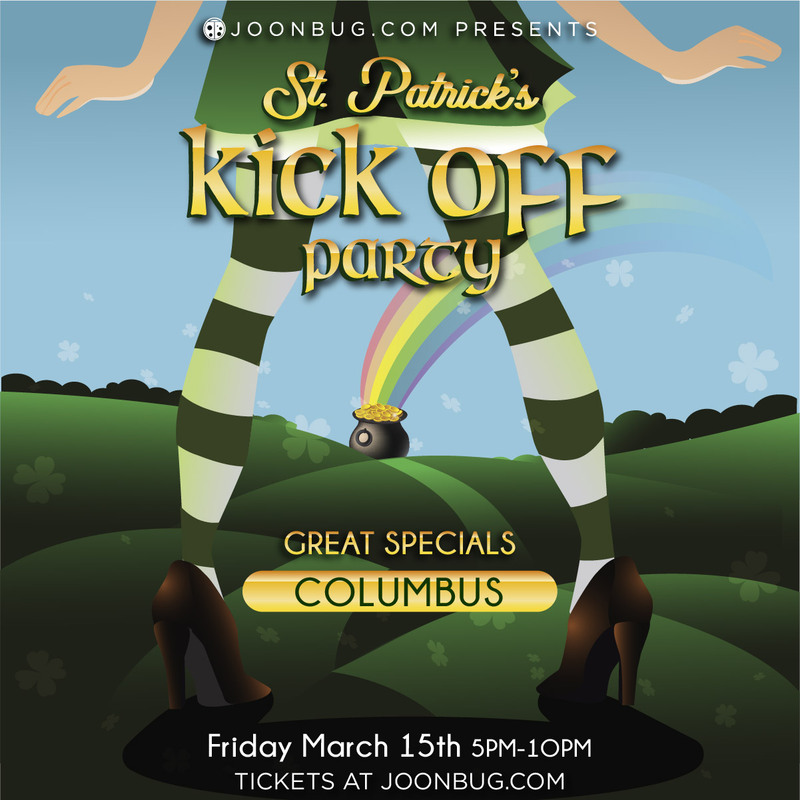 We’ve got you covered with a spirited Kick Off Party bash on Friday, March 15th to kick off a weekend packed with all-out St. Patty’s parties and bar hops. Pick your ale as bartenders pour Irish cheer and party with your emerald-clad cohorts into the night. Start the Irish antics early and get in the spirit for the weekend’s Irish Stroll pub crawls with the city’s jolliest crowd. We’re taking St. Pat’s holiday to the next level this year.